Earlier today, the US Public Interest Research Group (US PIRG) released a new report, investigating those high textbook prices for common courses at schools across the country. Entitled Open 101: an Action Plan for Affordable Textbooks, the report contains recommendations that, if enacted, could save students billions of dollars by ensuring the materials that students buy for their general education classes is free instead. We shouldn’t be raising food in ways that put tens of thousands of people’s lives at risk — that’s why we’re getting commitments from major restaurant chains to stop serving meat raised on routine antibiotics. 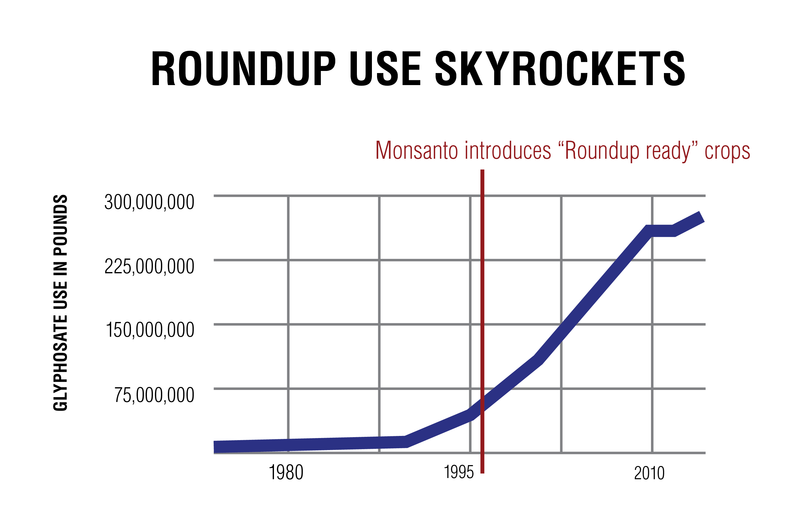 A newly-released study provides yet more evidence that it is time to ban Roundup. We join National Consumer Law Center, Americans for Financial Reform and other leading groups in a release commending the appointment of senior Pentagon official Colonel Paul Kantwill (U.S. Army, Retired) to lead the Consumer Financial Protection Bureau’s (CFPB) Office of Servicemember Affairs. The CFPB plays an important role in protecting servicemembers, veterans and their families from financial predators. Consumer health and food safety groups today delivered petitions signed by more than 125,000 people to the CEOs of 16 fast food restaurants, calling on them to stop the unnecessary use of antibiotics in their meat and poultry supply. Medical experts agree that the overuse of antibiotics in livestock poses a major public health threat by increasing the spread of deadly drug-resistant bacteria, yet 2015 data from the Food and Drug Administration (FDA) shows that the use of antibiotics in agriculture continues to rise. When the World Health Organization announced last week that processed meat is linked to cancer, the world went wild. But we can all agree: we have the right to know about these dangers. So what about the thousands of dangerous invisible chemicals that saturate our daily products? Surely, we have the right to know about them too. In cities across the nation, students, organizers, and volunteers flooded the streets in celebration of Subway's commitment to help save antibiotics.